With spring now in full-swing, graduation season is just around the corner! 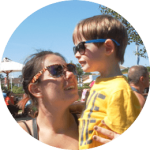 I’m always surprised by how quickly the school year passes – it certainly didn’t feel so fast when I was there! If you have a child, sibling, or loved one graduating this year, there’s still time to organize their invitations and graduation stationery. But with so much choices out there, it can be difficult to know where to start! 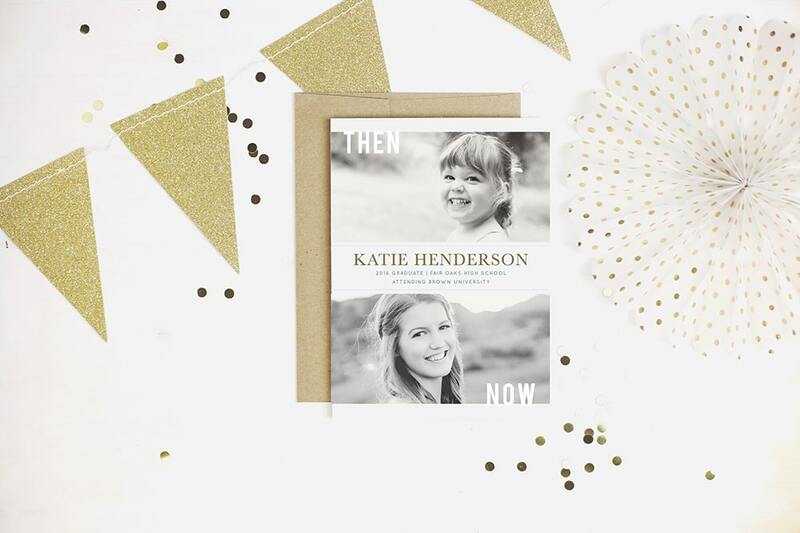 I absolutely love personalized invitations, especially when the designs are modern, fresh, and sophisticated. That’s why I was so pleased when Basic Invite reached out to me. 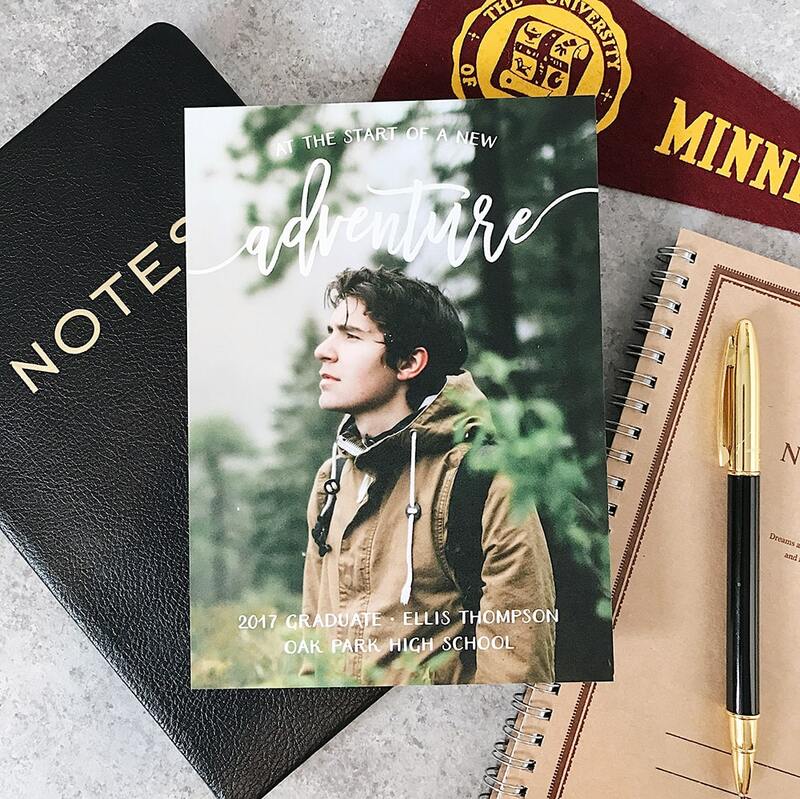 Their range of personalized stationery is beautifully-designed, and I was particularly impressed by the gorgeous graduation photo invitations. 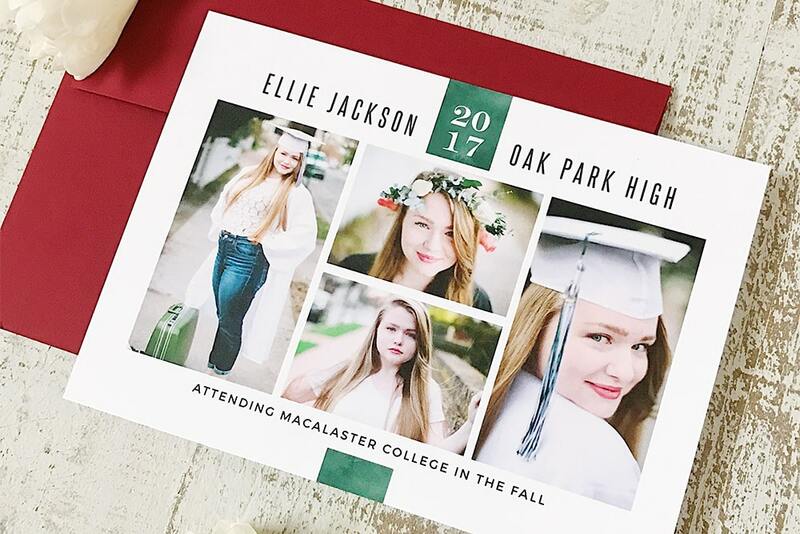 These templates present an ideal opportunity to utilize your graduate’s professionally shot senior photos, as well as beloved snaps from the family album! I adore this split design. It’s a wonderful memento of the graduate’s big day, as well as a reminder of how far their life journey has taken them. Friends and family members will also love to receive this invitation as a keepsake of an important milestone. From an aesthetic perspective, the stylish, modest lettering – which can be completely customized – is timeless and elegant. As well as remembering everything that’s happened and looking back, graduation is a time to look toward the future with hope and anticipation. Early adulthood is packed with exciting experiences, new friends, and great adventures. This beautiful design captures the sentiment perfectly. 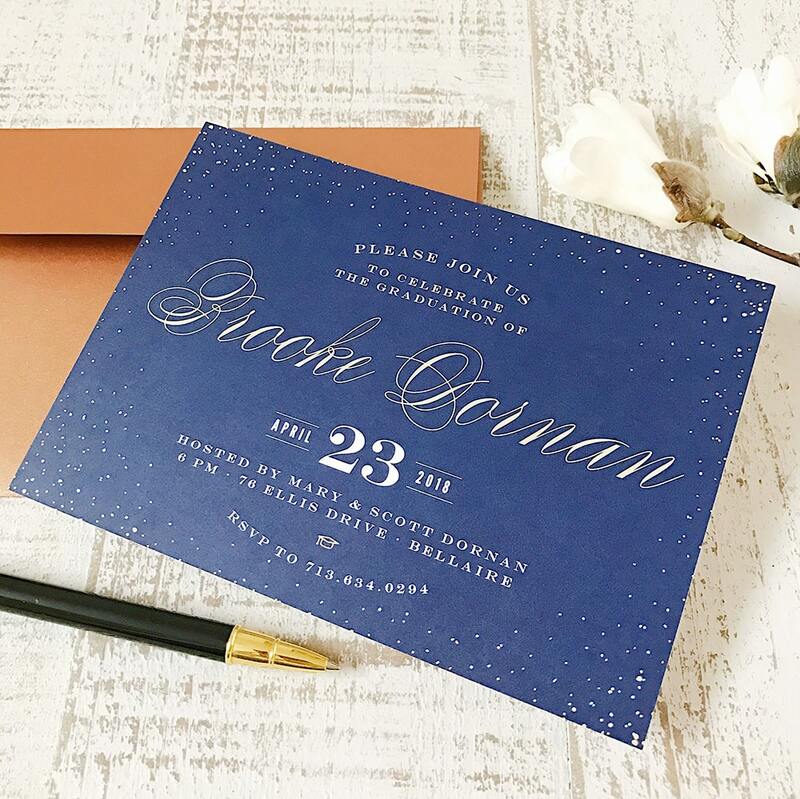 If you prefer more of a traditional design for your graduation invitations template, but bursting with creative flair and personalization options, Basic Invite has you covered. This classic style can be customized to your exact specification; personally, I like the idea of choosing the graduate’s robe color as the background! For a little extra pizazz, you may also incorporate metallic components in silver, gold, or rose gold. Select flat or raised foil during the design process and make the invitations truly yours. There are over 180 different card color options to choose from, and instant previews allow you to visualize your bespoke invitations in detail. And you’re not stuck with just one envelope color, either; there’s a selection of over 40 shades available, all with peel and seal closure. I know it’s a bit risky to entrust your invitations for high school graduation in a company you’ve never ordered from before. Basic Invite totally understands that, and is one of the few websites that sends out a printed sample for you to quality-check before you commit to a full order. And when it comes to sending the invites out, you can eliminate the time-consuming process of gathering recipient details by using the address capturing service from Basic Invite. Simply share a link on Facebook, Twitter, Instagram, or any social media platform, and details from family and friends will then be stored in your customer account area on the website. This is totally free to use, and Basic Invite will also print recipient addresses on all card orders at no additional cost. If you’d like to try Basic Invite, we’re pleased to offer a special discount code! Just enter 15FF51 at the checkout to enjoy 15% off. Enjoy!